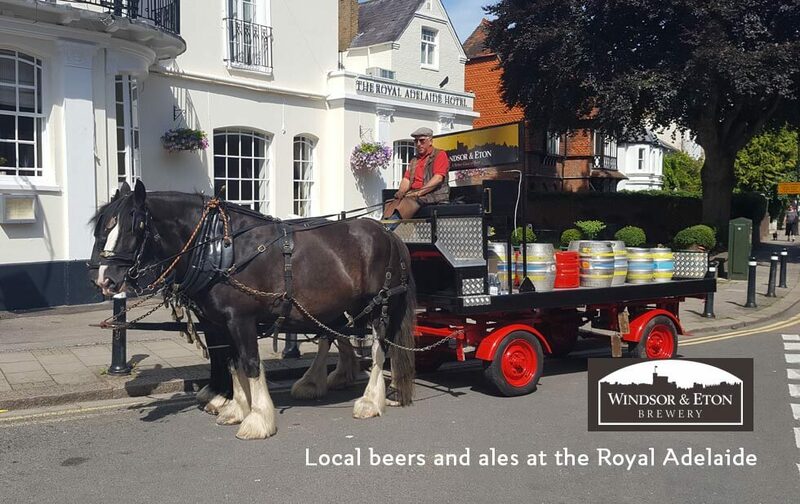 Royal Beer Delivered in Style! 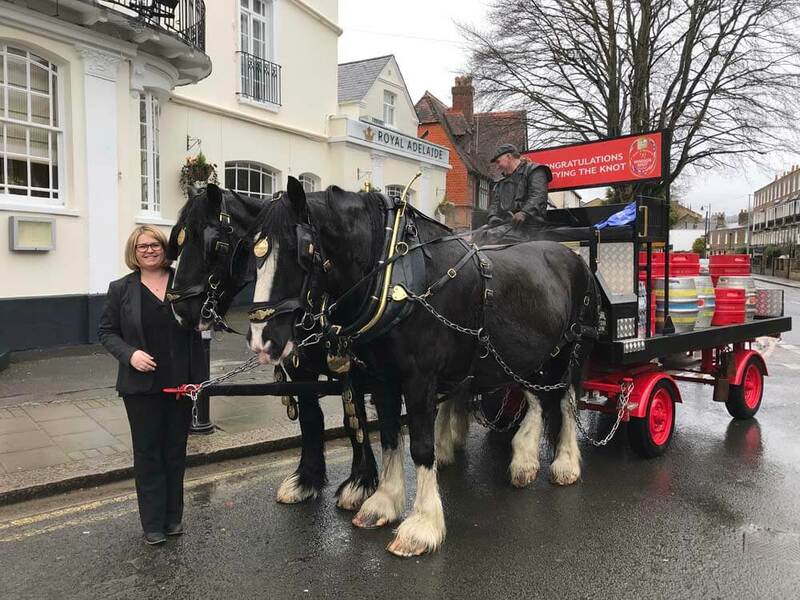 The Royal Adelaide Hotel in Windsor were excited to receive their first delivery of Harry and Meghan's WINDSOR KNOT, the pale ale brewed by the Windsor and Eton brewery to celebrate their forthcoming. Come and join at at the Royal Adelaide Hotel in central Windsor near the Windsor Castle for delicous, home cooked breakfasts. We’re proud to be stocking delicious local brews from Windsor and Eton Brewery. As said from the horse’s mouth – ‘if you’re going to drink a beer, make sure it’s a good one!’. All their drinks are hand batched with traditional floor malted barley of every style. Bursting with flavour, aroma and tasty ingredients, Windsor and Eton’s beverages are spot on every time. Royal Adelaide Hotel – Ready for the Royal Wedding!